Little Gulliver is a specialist retailer of family travel gear. Our purpose is to improve the safety and comfort of travelling parents and kids. 'Doors opened' for the online operations in August 2008 in the Melbourne suburb of Glen Iris. Early on, founders Ben and Donna Jones introduced the CARES child aviation harness to Australia and New Zealand and launched Little Gulliver as Australia's original Kids Travel Gear store. We have much fun assisting customers from across Australia, New Zealand and South east Asia organise wonderful family travel. Little Gulliver offers a tailored range of the best kids travel gear available. Every product in store is considered against a strict criteria. We look for leading products that are light weight, easily transportable, disposable where appropriate, improve the safety and comfort of children and their parents and, of course, value for money. With a nod to old fashioned service, the product range is supported by fast, low cost delivery options and accessible, experienced staff. We are the exclusive importer of the innovative and award winning child safety device, CARES, for the Australia / New Zealand region. This is something we take great pride in as the CARES harness sets a new safety benchmark for children travelling on aeroplanes. 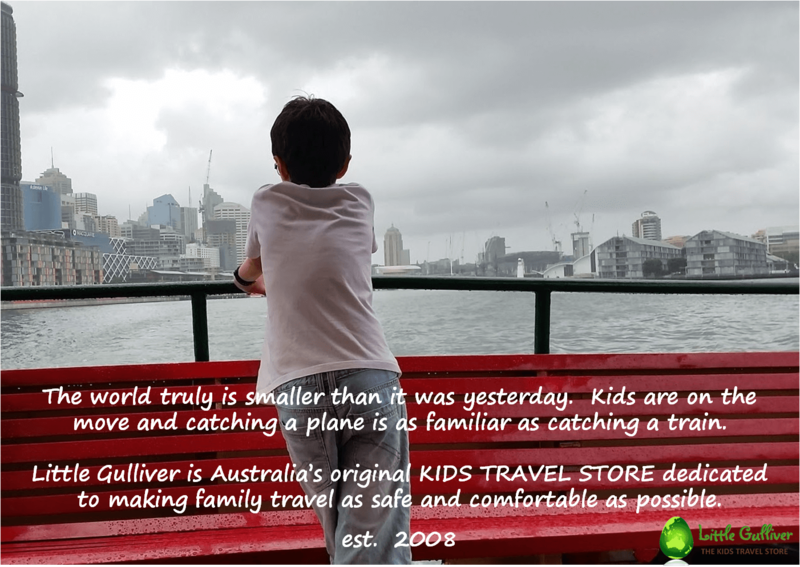 Little Gulliver / www.LittleGulliver.com.au / Retailer of Travel Essentials For Kids / Online store servicing Aust/NZ/Asia customers. CARES Australia / www.CARESAustralia.com.au / Home of CARES for Australian customers / Local CARES tips and info. CARES New Zealand/ www.CARESHarness.co.nz / Home of CARES for New Zealand customers / Local CARES tips, info and online store. We're always interested in hearing from our customers about their travel experiences and products they love, so please drop us a line anytime.